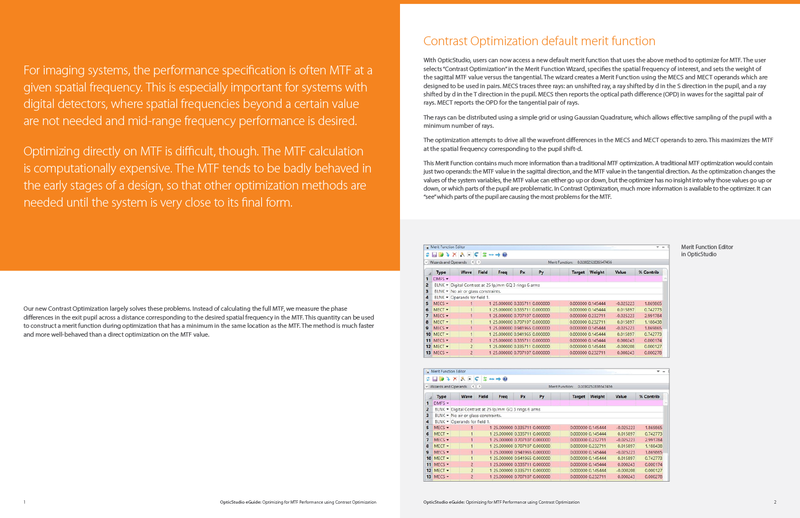 Contrast Optimization technique allows for robust and efficient optimization on the system MTF at a given spatial frequency. 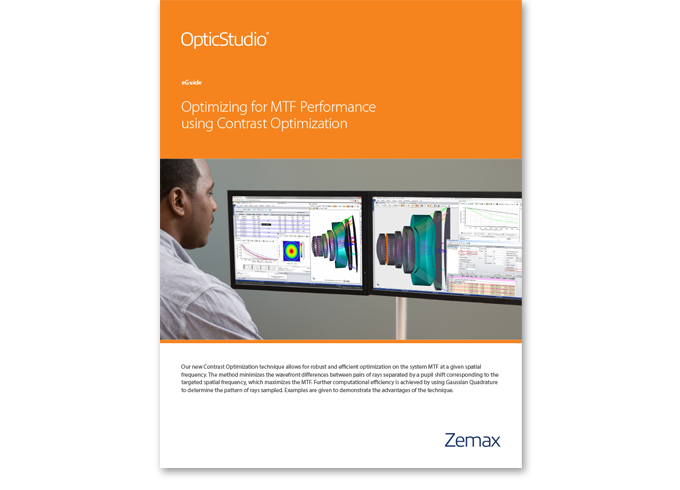 The method minimizes the wavefront differences between pairs of rays separated by a pupil shift corresponding to the targeted spatial frequency, which maximizes the MTF. Further computational efficiency is achieved by using Gaussian Quadrature to determine the pattern of rays sampled.